Quality and healthy +A Grade Arowanas for sale at affordable prices. Each equipped with chip certificate to comply with CITES. Sizes Available from 3 to 30 Inches, we have been in market since as an arowana hobbyist. 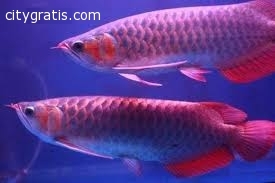 Super Red Arowana (Show Grade) . They are all well fed and will come alongwith all papers including the certificate of origin, permit and the rest. Quality and healthy +A Grade, We give them out on an affordable prices. For more information contact us with your order.